By Fred Meyer on October 15, 2014 . Posted in Tech Tips and Tutorials. Like every other web developer, I abhor Internet Explorer. I’ve already given a lot of good reasons why I can’t stand IE—in any version—in an earlier post. However, I will admit that the last truly unusable version of IE is IE8. 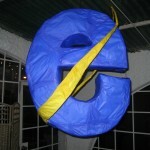 IE8 is in a completely different world from every other browser on the market. First shipped in 2009, IE8 is the last IE version to fail to understand numerous crucial CSS3 properties—such as box-shadow, border-radius, background-size, @media queries, and the rem unit. It also doesn’t understand truly useful HTML5 elements like audio and video, as well as a grab-bag of other important things. To summarize: IE8 is in a completely different world from every other browser on the market. If you want to make a given website look good in IE8, expect that to take up approximately half your time, and to be by far the worst and most frustrating part of the job. Sadly, IE8 is still relatively popular, with (depending on whom you ask) around 10% market share globally. This makes it difficult to ignore completely. But if you can get away with it, sometimes it’s more satisfying not to be sensible. Don’t even attempt to show anything to IE8 users, except a polite request to upgrade to a better browser. The “Nuclear Option” is to not even attempt to show anything to users of IE8 and below, except a polite request to upgrade to a better browser. We’re using this option here at Press Up, and we’ll also be using it on the forthcoming redesign of our WordPress tutorial site, WPShout. Here, we’ll walk you through the HTML and CSS you’ll need to go nuclear. Afterward, we’ll also discuss a bit of strategy for when it might be the right choice for you. Here are the three pieces of markup you’ll need to implement this solution. Using conditional statements, this code serves a normal <html> tag to most browsers, but sets the tag’s id attribute equal to low-ie if the browser is IE 5, 6, 7, or 8. This completely hides all first-level children of the body tag—hiding everything, since hiding an element also hides its children. There’s only one exception: the div element of class low-ie-message, provided that that element is an immediate child of the body tag. That gets displayed, and absolutely positioned toward the top left of the page. The code for all this will go immediately after the opening <body> tag, in an IE conditional statement like the one below. Not everyone has the luxury of using this option. Not everyone has the luxury of using this option for his or her site. Some sites absolutely need robust browser support, and simply banishing users who have obsolete browsers would be a really stupid decision; eBay and AOL come to mind. Your users are more technical. 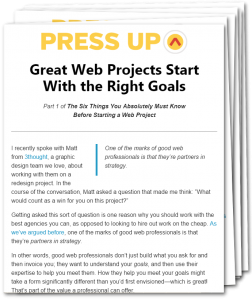 Press Up is a web development site, and WP Shout provides WordPress tutorials. If a developer, WordPress learner, or potential client visits either site with IE8 in tow, it stands to reason that our first message to them is to get a better browser. More to the point, we get very little traffic from low-IE users anyway. It’s your site. It makes more sense to advocate for better web browsers on a project you own, rather than force your opinions on a client and that client’s users. Put differently, it’s nice when it’s your own site traffic and revenue you’re risking. Ultimately, it’s a judgment call, which will need to be informed by an understanding of the site’s purpose, user base, and analytics. Flatly refusing to support IE8 is a somewhat radical decision, but boy, is it satisfying. Let me know if you have any questions or comments, and consider yourself armed!